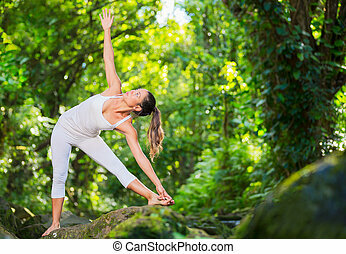 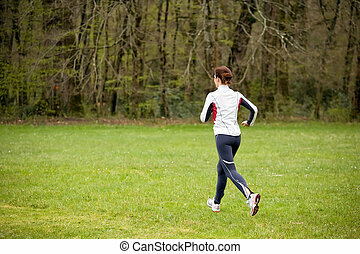 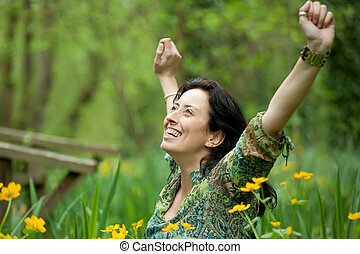 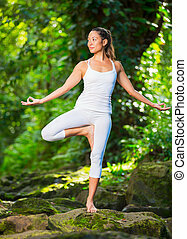 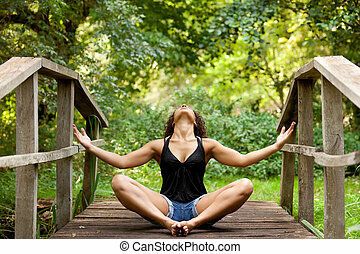 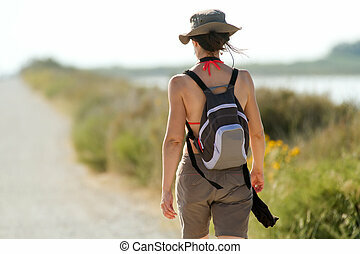 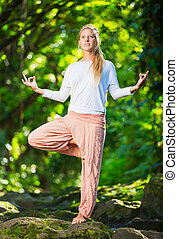 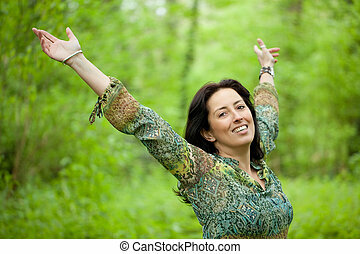 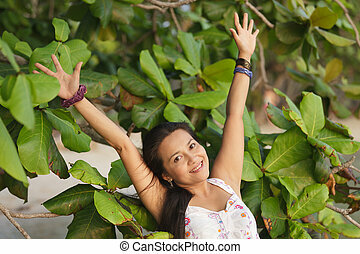 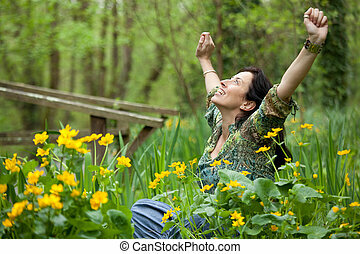 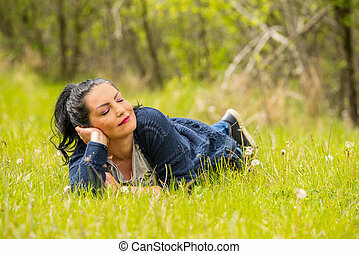 Woman breathing in nature. 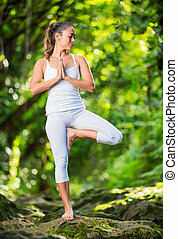 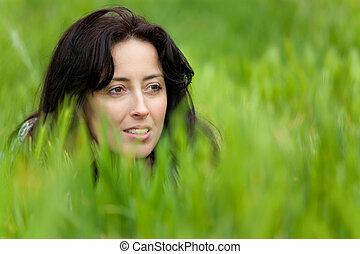 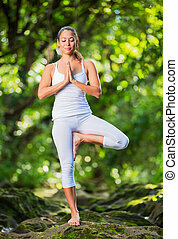 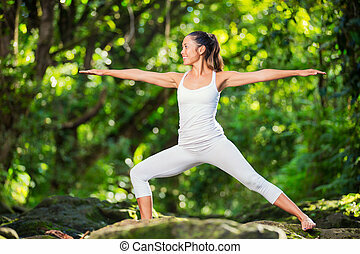 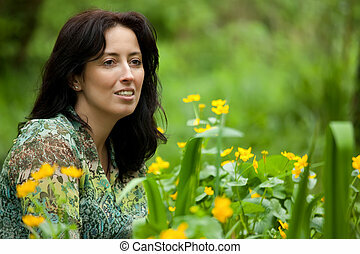 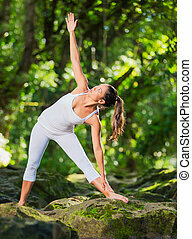 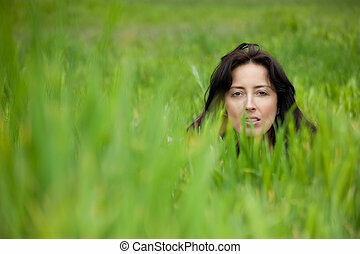 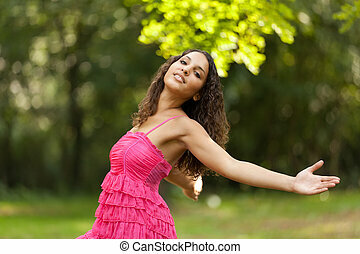 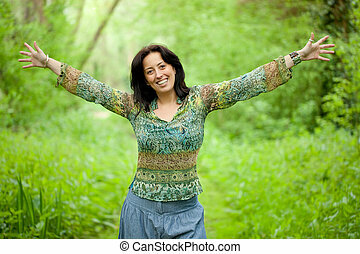 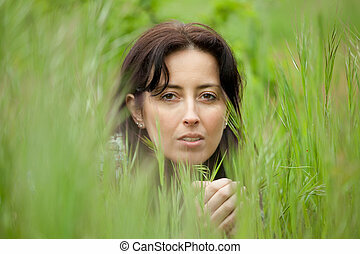 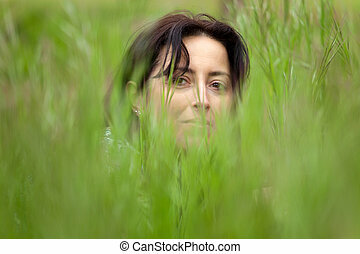 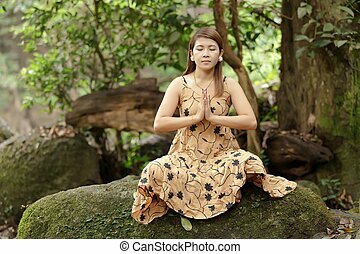 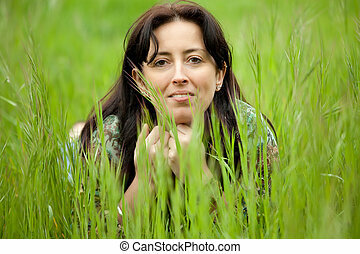 Beautiful woman taking a breath in verdant forest. 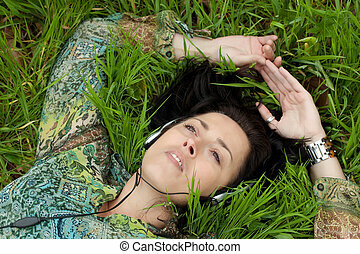 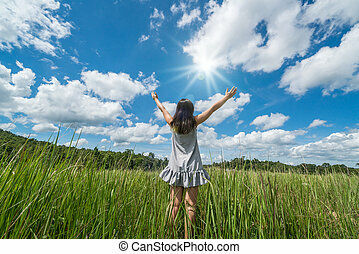 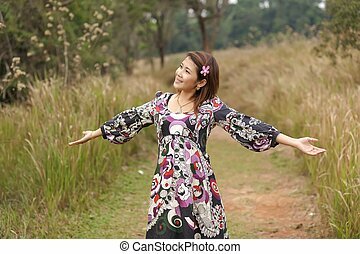 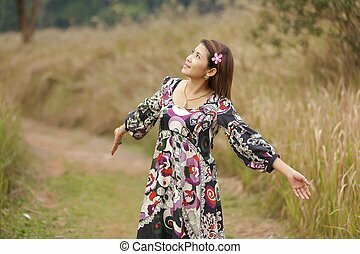 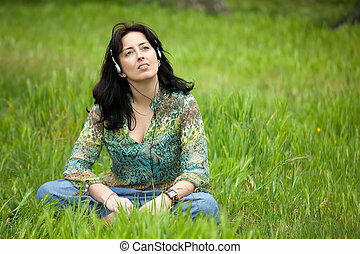 Woman standing in green grass with blue sky and white clouds. 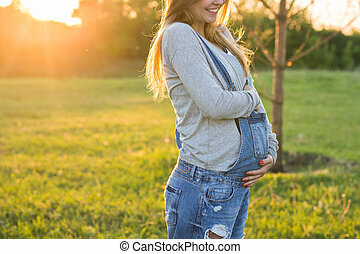 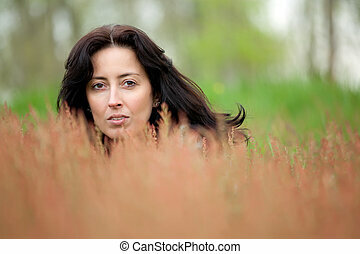 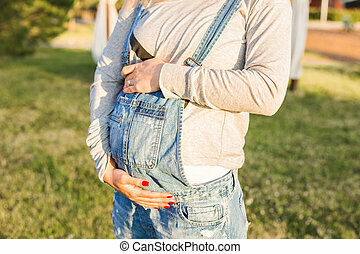 Portrait of young pregnant woman in nature.